NEW YORK / MAY 29, 2018 Pop the Champaign! MCR, the seventh largest hotel owner-operator in the United States, has acquired three Hilton-branded hotels in Champaign, Illinois. The all-star lineup — a Home2 Suites by Hilton, a Hilton Garden Inn and a Homewood Suites by Hilton — is steps from the 44,000-student University of Illinois campus and the newly renovated State Farm Center arena, home of the Fighting Illini Women’s and Men’s Basketball teams. A slam-dunk for sports fans, Champaign, Illinois is also a bustling business region thanks to the Carle Foundation Hospital and the corporate offices of Jimmy John’s, Wolfram Research and Yahoo! 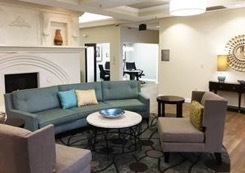 Reserve rooms by phone at (217) 355-6468 or online at home2suites3.hilton.com. 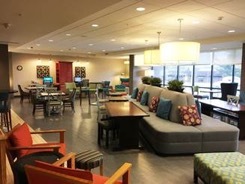 Reserve rooms by phone at (217) 352-9970 or online at hiltongardeninn3.hilton.com. 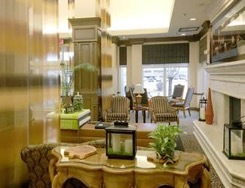 Reserve rooms by phone at (217) 352-9960 or online at homewoodsuites3.hilton.com. MCR is the seventh largest hotel owner-operator in the country and has invested in and developed 103 hotel properties with more than 12,000 rooms in 27 states. MCR’s hotels are operated under 11 brands. The firm has offices in New York City and Dallas. MCR is a recipient of the Marriott Partnership Circle Award, the highest honor Marriott presents to its owner and franchise partners for hospitality excellence. For more information, please visit www.mcrinvestors.com.